These days more and more travel photographers are resorting to time lapse videos instead of the regular ones. No matter if you want to shoot nature, urban life, beaches, clouds or sunrise, compacting a couple of hours of footage into a few minutes can be rather powerful visual narrative. A time lapse video is basically a sequence of photos which have been shot at an interval and then player with a much faster speed. The time interval in which the photos have been shot could vary from a few seconds to a few minutes depending on the duration of the video you want to create. This is substantially different from a regular video where the photos are recorded in quick succession by the camera and then stringed together in real time. Time lapses can be a very handy tool for recording scenes which occur over a considerable period of time (for eg. Sunset, sunrise, eclipses, budding of flowers, clouds etc). Are you an amateur travel photographer who has recently bought a GoPro cam and wondering which the best setting for time lapse photography is? 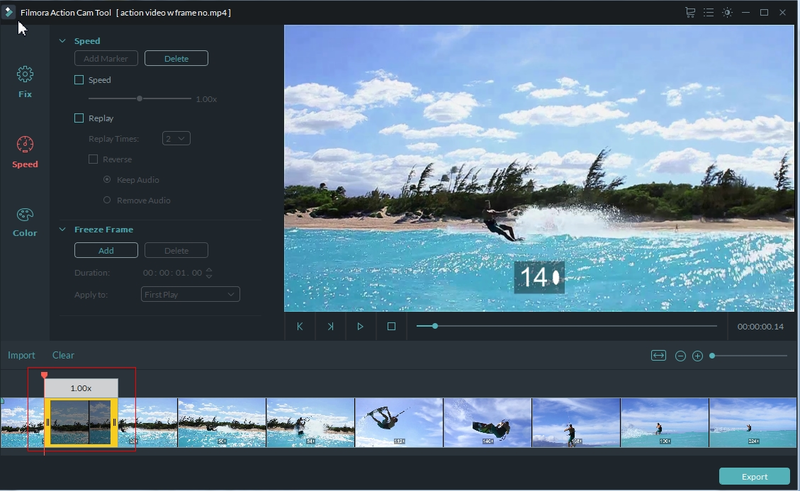 Are you still not certain about which editing software to use for editing your GoPro time lapses? In this post we will discuss how to shoot a time lapse video with GoPro Hero 5 and how to edit the video with Filmora. Lastly, you need to decide on the length of your video. 60s for blooming flowers, growing plants or any other long term process. Choose 12 MP as the resolution and use 30 frames per second for your videos, which is the ideal settings for getting the most fluid-looking and realistic time-lapses. Now you need to decide on how long you want to shoot. While shooting at an interval of 60 seconds, you would have to place your camera on the location for quite some time, so as to get a time-lapse of considerable duration. If you shoot for 10 minutes with 1s interval, then you will be getting about 20 seconds of time lapse footage which is surely enough for creating a quick montage. First, you need to look for the right location. Make the most out of the rule of thirds and always ensure that you have a focal point of your time lapse footage. While shooting a crowded street try to position your camera at a vantage point from where you can capture the movement of the people and even that of the clouds. Make use of good tripod, a fast and spacious SD card, a suction mount and always keep an extra battery. Gorilla Pod with its 3 in 1 mount is probably the best tripod for action cams. A longer cord can be of great help in situations where you have a power source. This would allow you to shoot hours and hours of footage on your GoPro. Now download your recorded video by connecting your camera or by using an SD card reader. The Action Cam Tool- this has the capacity of correcting lens distortion and can also perform other important tasks like video stabilization, color correction, speed control, audio de-noise and much more. The Instant cutter tool on the other hand can be used for trimming and merging videos quickly and easily without damaging its quality. It supports many video formats like H.264 encoded MP4, MTS and mov video which have been shot on phones, HD cameras and Action cams. 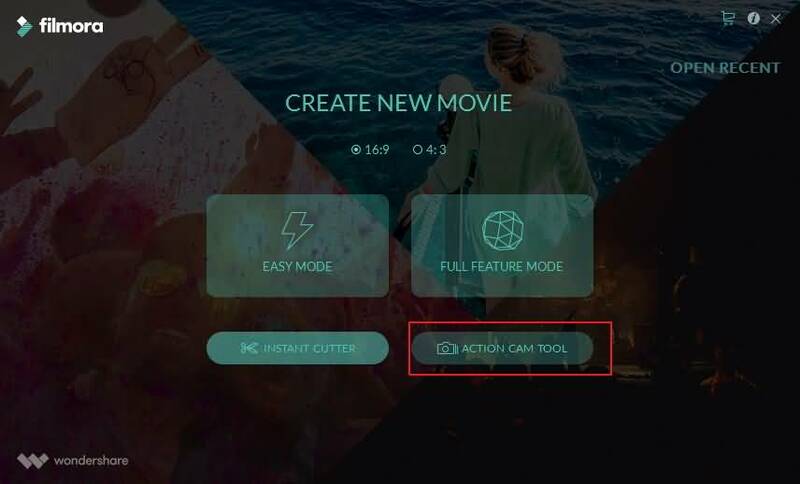 Next, you need to click the ‘Import’ button or the ‘ Import an Action cam video’ button, so as to import your recorded video to Wondershare Filmora. Now go to the Speed tab and bring the Playhead to the exact position where the speed effect is to be applied. Click the Add Marker button. Click the speed marker and drag it onto either side of your timeline so as to choose a number of clips on your timeline. The speed settings can be adjusted by clicking on the checkbox marked Speed. The speed slider can be moved forward to make it faster up to 20x for the time lapse effect.